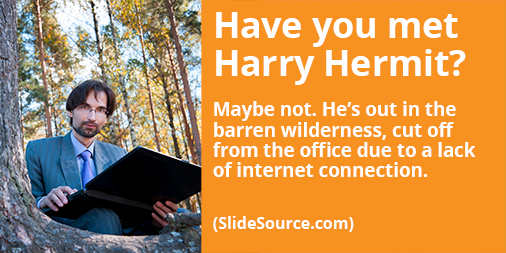 Whether he’s an intrepid explorer or a neo-luddite, Harry often needs to download shared presentation files to work on them offline and away from the team. What happens when Harry returns from his sojourns in the geographic or technological hinterlands? How can the work he did while he was away be integrated back into what the team has been doing? 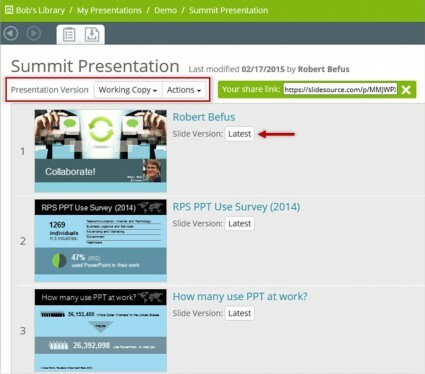 Even though SlideSource is an innovative cloud-based solution to presentation management problems, it still works just fine for folks who find themselves disconnected from the cloud. Harry can easily download slides from SlideSource and work on them offline. Then when he returns from the wilderness, windblown and badly in need of a shave, he can easily upload the slides back into SlideSource. The best part is, SlideSource will automatically recognize his slides and will return them to exactly the same place they came from, making Harry’s version the latest and greatest while retaining all the versions that came before. 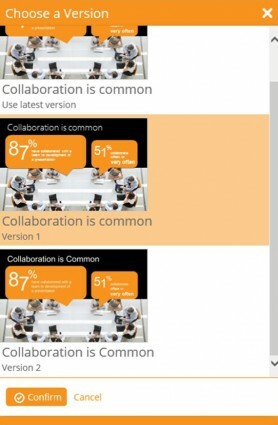 All tags and other information associated with the slide in SlideSource will remain, and if the updated slide is part of any presentation in SlideSource, it will be automatically updated. 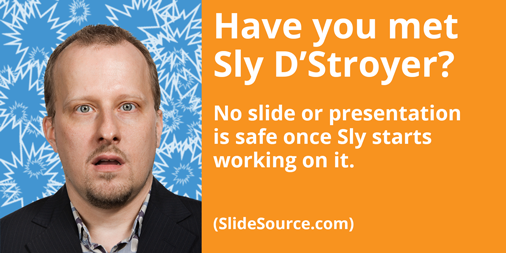 SlideSource will even know if anyone else has edited the slide while Harry was working offline and will help him resolve the version conflicts. Have any of the fine folks we have introduced you to over the last couple of months reminded you, even a little, of someone you know? It’s hard to imagine working in a collaborative environment for any length of time without having the pleasure of sharing a project with someone who at least resembles one of them. 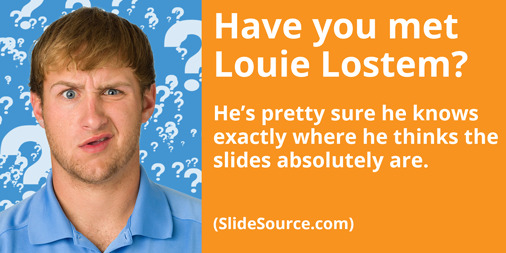 SlideSource.com can easily accommodate your co-worker’s (or boss’s) quirks. It can also lessen the negative impact that any other slide management challenges might have on your team’s performance. We invite you to take a few minutes to visit SlideSource.com, sign up for a free, full-featured trial account, and see for yourself. Losing hours of work due to PowerPoint ineptitude (thanks Sly) is one thing, losing them because Louie Lostem lost the slides is another. Right now, the file your team desperately needs to make a big deadline is on a thumb drive, in the left front pocket of his favorite skinny jeans, at his dry cleaners, 20 miles from the office. At least Louie’s pretty sure that’s exactly where it is. It might also be lost in an electronic sort of way somewhere in a cryptically named folder on his laptop. Or maybe the company’s server. Or maybe it’s on Dropbox, Google Drive, One Drive, SpiderOak, or any of the other half dozen personal cloud storage accounts he uses on a strictly arbitrary basis. SlideSource.com keeps all your slides in a centrally located, cloud-based content library that is easily accessible by all the members of your team, all the time. This means that your crucial files will never end up in the pocket of anyone’s jeans and you will always know exactly where the latest and greatest version of every slide and presentation can be found. SlideSource also supports tagging of individual slides and has a robust search function so slides are easy to find — even within the system. It’s very possible you may be working with Louie Lostem right now. 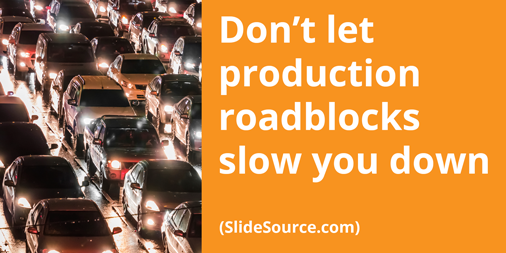 If that’s the case, please take a few minutes to visit SlideSource.com, sign up for a free, full-featured trial account, and see how it can help your team find its way to the project’s conclusion.